The Athlete's Playground has 40+ adult classes every month and 30+ youth classes every month. Wtih an active gym membership, you can attend as many classes as you would like each month. 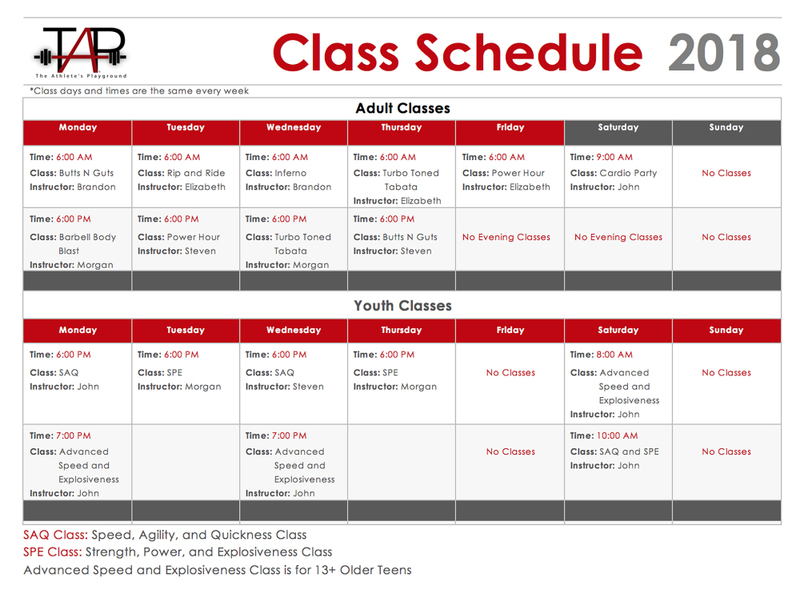 Our Youth Classes focus on basic movement along with speed, agility, quickness, strength, balance, flexibility, and more. 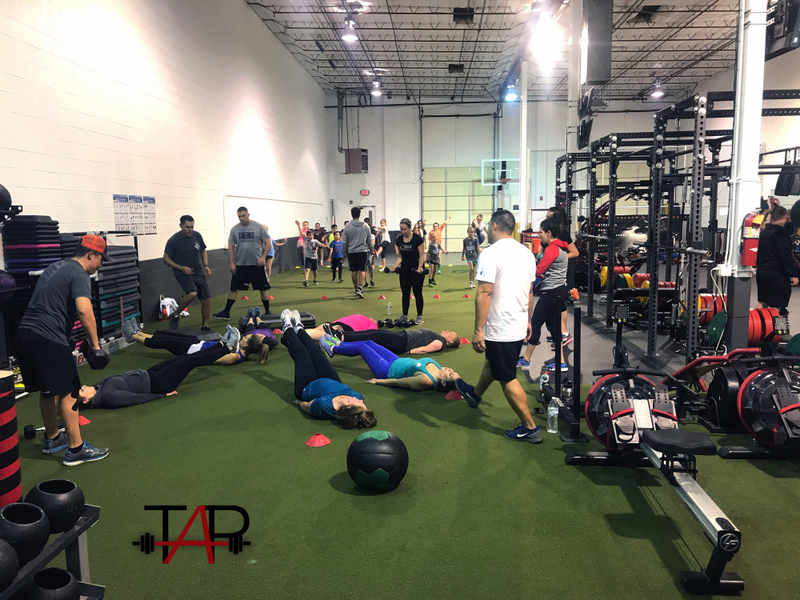 Our Adult Classes focus on functional strength training and incorporate different types of free weights, resistance bands, medicine balls, cardio, core, etc. Each of the classes offered will focus on proper pre- and post-workout conditioning. This will teach adults, children, and teens how to properly prepare the body before working out and competitive play, and how to properly stretch and cool the body after working out and competitive play. We will show you the importance of a dynamic warm-up, which increases the range-of-motion throughout the body and should be completed before working out, exercising, practice, or competition. After the work out or competition, you will learn how to take time to static-stretch and try to increase the flexibility throughout their body while cooling down.